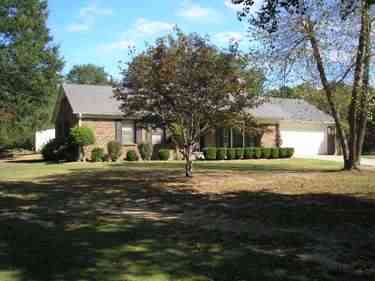 3 Bedr / 2.5 Ba / In-Ground Pool / Small Fishing Lake on 13.19 Acres. Brick Exterior / Composition Shingle Roof / Slab Foundation. 1752 Sq. Ft. of Living Area / 460 Sq. Ft. 2-Car Garage. 275 Sq. Ft. Unfinished Concrete Basement / Built in 1987. Water Source Central Heat & Air. Floored Attic over Garage. Utility Building for Pool. 18' "	x	7' "
22' "	x	12' 6"
Please provide more information about Listing # 505444.